Gaineswood, one of America's finest Greek revival houses, is a masterpiece. Designed by owner and architect Nathan Bryan Whitfield, Gaineswood evolved from a two-room dogtrot cabin to one of America's most interesting houses over an 18 year period (1843-1861). Exceptional interior spaces have domed ceilings and elaborate plasterwork. 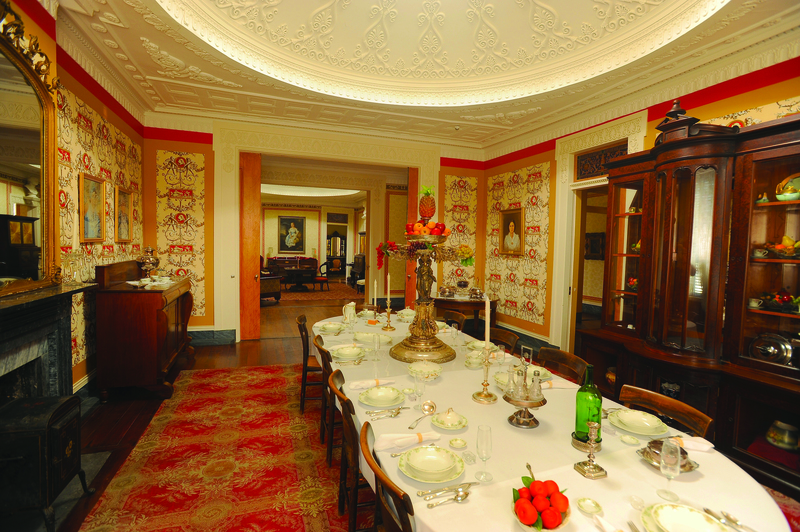 The house contains many original family furnishings and objects donated by the Whitfield family. The five-acre site includes formal gardens, a gazebo, picnic tables, the pantry, and plantation office. Our gift shop offers a variety of local artwork such as woodwork and white oak baskets as well as art depicting Gaineswood. Coloring books, books on regional history, and period style toys are also available. The first floor of the house and restrooms are accessible to individuals with physical disabilities. The grounds are generally accessible. If you have questions or if you anticipate special assistance, please contact us at 334-289-4846 or gaineswd@bellsouth.net. Tour times are available by appointment. For more info call 334-289-4846.